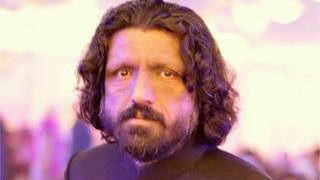 Pakistani blogger Salman Haider has returned home, more than 20 days after disappearing in the capital Islamabad. He was one of five liberal activists to have disappeared in recent weeks. Mr Haider's brother said he was well, but did not disclose where the blogger had been. The men had aired views critical of the military or militancy on social media. No group has admitted holding them. The government has denied accusations that its secret agencies were involved. When the activists disappeared in early January, hundreds of people held protests across Pakistan to demand that the authorities trace them. Mr Haider, a well-known poet and university professor, was last seen in Islamabad on 6 January, two days after bloggers Waqas Goraya and his cousin Asim Saeed disappeared in Lahore. Another blogger, Ahmed Raza Naseer, who has polio, disappeared from his shop in Skeikhupura near Lahore on Saturday. A fifth activist, Samar Abbas, also disappeared a few days later. The whereabouts of the other four men are not known, but the AFP news agency on Saturday reported that one of them had been confirmed as safe by a family member. The relative asked AFP not to disclose his name. Pakistan's government expressed concern and said they were investigating. Supporters of the men accuse the security services of having secretly arrested them. During their disappearance, the activists were accused of blasphemy on social media. Blasphemy is a serious allegation in deeply conservative Muslim Pakistan, and it has prompted further concerns for their safety. Pakistan is one of the the world's most dangerous countries for reporters and human rights activists, and critics of the powerful military have been detained, beaten or killed. Mr Haider is a known campaigner against enforced disappearances in the restive Balochistan province. Correction 28 January 2017: This story has been amended to clarify that only Mr Haider has returned home.